We will meet on Thursday, February 1 at the Science Museum of Virginia located at 2500 W Broad St beginning at 8:30 a.m. until 10:30 a.m.
Whitney Guthrie, Director of Community Engagement for Richmond Metropolitan Habitat for Humanity will be our speaker. We will focus on the topic of Engaging Youth & Young Professionals in your Non-Profit. 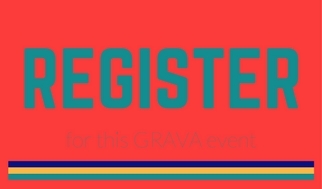 Come learn from one of our own GRAVA members and winner of the 2017 Volunteer Engagement Professional of the Year Award. Whitney started her career in volunteer engagement with AmeriCorps, where she worked as their Volunteer Engagement Coordinator and helped to build volunteer programs for local nonprofits funded through United Way. Two standout programs she worked to develop and grow are coordinating two large-scale Day of Caring volunteer days in York County and developing a weatherization program for the local Habitat for Humanity affiliate. Five years ago, Whitney came to Richmond Habitat. Since that time she has engaged over 10,000 volunteers, developed youth volunteer programs, started our Global Village volunteer abroad program and worked to engage different segments of the population in the mission of Habitat for Humanity, including faith groups, women, young professionals and more.